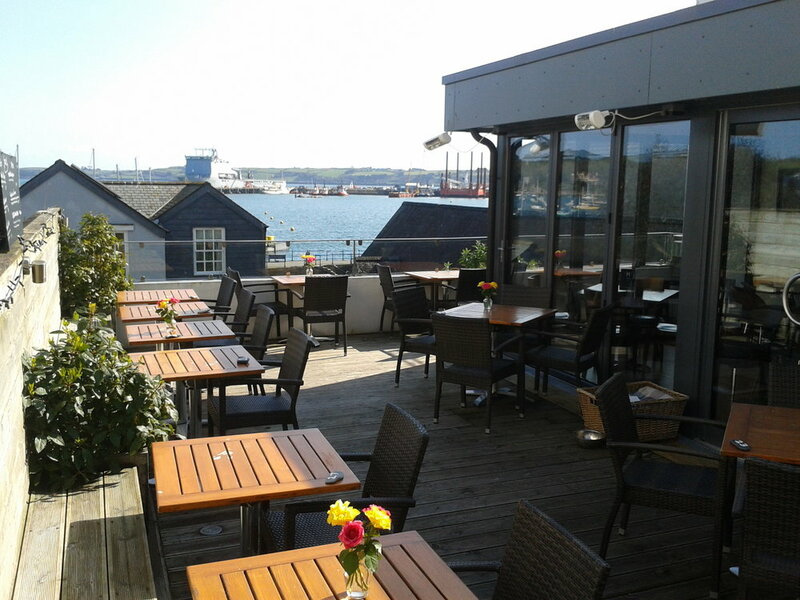 Why not consider the Harbour View for your special event? With an indoor seating capacity of 40 and additional outside seating for 30, we are the perfect choice for private dinners, cocktail parties, naming ceremonies or Corporate meetings. With our central location, just down the road from Church of King Charles the Martyr and conveniently located for the Town Hall, we are also the ideal choice for smaller wedding or civil ceremony receptions. On a hot day we can pull back all the doors of the extension to open up onto the deck. On a cold or rainy day, you can still enjoy the views in the warm! We do not charge a hire fee for exclusive use of the restaurant but a minimum spend applies depending on the time of year and day of the week. Based on our standard menu, we can tailor a set menu to your specification and also offer buffet or canape menus for a more informal event. To make an enquiry, please email Andrew or Sharon at enquiries@harbourdining.com. Alternatively call the restaurant direct on 01326 315315 and ask for Andrew.